Dr. Bruno Lemay offers a variety of oral surgery procedures at his Palm Springs, CA-area practice to restore the health of your smile and bring balance to your bite. We utilize some of the latest techniques and pieces of technology to perform oral surgery with exceptional precision and minimize healing times. Drawing upon more than two decades of experience, Dr. Lemay will work closely with you to diagnose your case and plan your individualized treatment to suit your unique needs. To learn more about the oral surgery procedures we offer, schedule an appointment today. If the end of your tooth root has become infected, inflamed, or otherwise damaged, we can perform an endodontic treatment known as an apicoectomy. During an apicoectomy, Dr. Lemay will remove any inflamed or infected tissue as well as the tooth root itself. Depending on your condition, we may also place a filling to complete treatment. Dental implants are small metal posts that are surgically placed in the jaw, where they fuse with the surrounding bone to provide up to a lifetime of support for crowns, bridges, and dentures. Many patients who are seeking to experience the unparalleled benefits of a dental implants treatment will find that they do not qualify because they lack the necessary jawbone strength. In these cases, we can perform a bone grafting procedure to help you qualify. With bone grafting, Dr. Lemay will take healthy bone from one area of the body and transfer it to weakened areas of your jaw. Approximately one in every 700 babies is born with a cleft lip every year, and many of whom also have a cleft palate. In addition to aesthetic concerns, having a cleft lip or cleft palate can cause speech problems, difficulty eating, and other issues. To correct a cleft palate or cleft lip, Dr. Lemay can perform customized reconstructive surgery using his extensive experience. If we notice any unusual symptoms or growths during a routine examination, Dr. Lemay can perform a professional diagnosis and often provide effective treatment. He can safely and effectively remove cysts, abnormal growths, and cancerous lesions to improve your oral heath and comfort. Damaged teeth: We can remove teeth have been severely damaged by trauma, decay, gum disease, or other issues. Wisdom teeth: Your third molars (or wisdom teeth) are the last to emerge, so they can often cause crowding or become impacted. In these cases, we can use a combination of anesthesia and a gentle touch to perform wisdom teeth extraction. Impacted canines: When a patient's upper canine teeth cannot erupt properly because they are blocked by another tooth, Dr. Lemay can remove the obstructing tooth to facilitate proper canine development, allowing for proper oral function. We are committed to using advanced techniques for improved healing. One such technique is the use of platelet rich plasma (PRP). To acquire PRP, we will take a small blood sample and use a special device to enhance its platelet concentration. The PRP is then applied to the surgical site, where healthy platelets encourage tissue regeneration and speed recovery. Temporomandibular joints (TMJs) connect the lower jaw to the skull. When these joints becomes strained, inflamed, or otherwise damaged, patients can experience a range of uncomfortable symptoms such as headaches, muscular pain, toothache, and more. 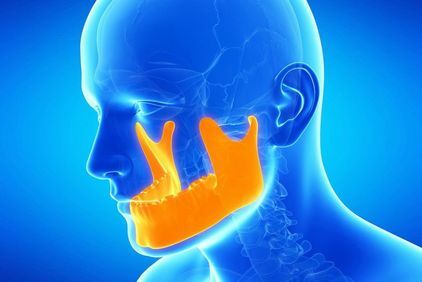 Fortunately, we can often effectively treat TMJ disorder with a custom oral appliance, which is worn at night to gently move the jaw into proper position. In more severe cases, we can perform oral surgery to repair the joint. Contact us today to learn more about our oral surgery procedures.